The state health department in Maharashtra has appointed a committee to negotiate its own way of making cadaver donation and organ transplant program more affordable for the middle class and the poor. Reportedly, an expert committee working towards the noble cause will be studying the existing healthcare infrastructure and identify new ways to bring down the costs. The committee is expected to report its study to the government in the next two months. In private hospitals, a liver transplant costs around Rs18-25 lakh, a kidney transplant costs Rs3.5-6 lakh, and heart transplant around Rs20-25 lakh-which is perceived to be a very high figure for patients. Dr Deepak Sawant, state health minister is implied to have said that the state runs many super-specialty civic hospitals, and are also planning to include four civic-run and 13 state medical colleges, for conducting organ transplants now. Our major effort is now directed towards reducing the cost of the procedure after having received the initial report from the committee. Dr Gustad Daver, president of the Zonal Transplantation Co-ordination Committee (ZTCC) is the organisation which coordinated between donor and recipient families. Patients are required to register for their organ needs with the ZTCC. The state has also appointed the committee under the chairmanship of Dr Daver. 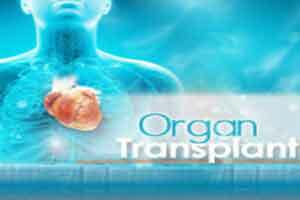 “Awareness about organ donation has been created among people but, so far, to a certain extent. The number of organ transplants has been going up every year. However, the main hitch is the high cost. Hence, we are try to work on how we can reduce that and make the procedure affordable. For this, we asked the most senior doctors to take a holistic approach and prepare the report,” added Dr Deepak Sawant.